Neurodegenerative disorders remain devastating conditions and are increasing in prevalence in ageing populations – and a better understanding of the underlying pathogenic processes is needed to develop effective prophylactic and therapeutic treatments. This Special Issue from The FEBS Journal brings together nine expert reviews providing up-to-date overviews, insight and discussion of molecular and cellular mechanisms in neurodegeneration and neuroprotection. 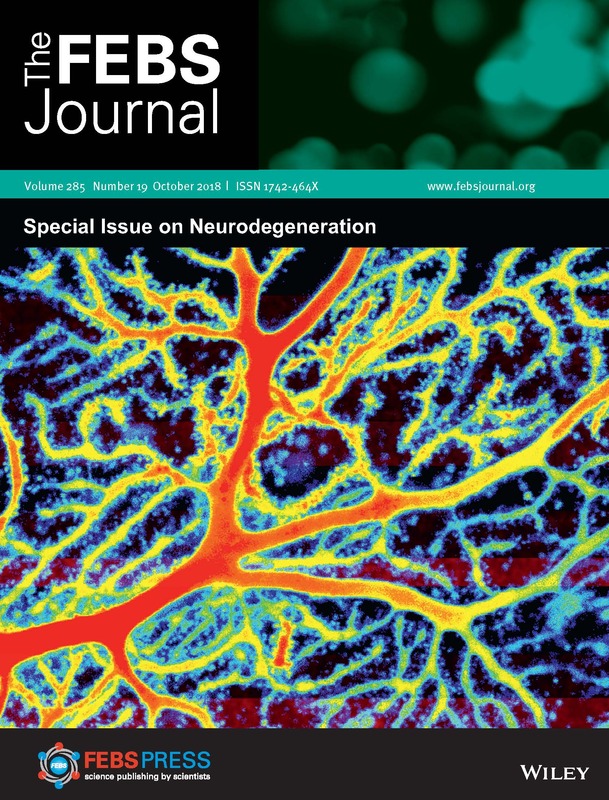 The FEBS Journal Special Issue on Neurodegeneration features nine excellent reviews, written by experts in the field, on topics that range from key factors involved in the pathogenesis of neurodegenerative diseases, to therapeutic targets that can protect neurons from toxicity and cell death. Recent progress in neuroscience and brain development is also discussed. The Issue opens with a review by Polina A. Egorova and Ilya B. Bezprozvanny, introducing the role of inositol 1,4,5‐trisphosphate receptor (IP3R) in neurodegenerative disorders. This well-known ion channel is here described as an attractive potential target in the treatment of pathologies such as Alzheimer’s disease and Huntington’s disease. The process of neuronal phagocytosis (neurophagy) can also contribute both to normal brain development and to neurodegeneration. This is discussed by Anna Vilalta and Guy C. Brown in their review: neurophagy normally helps the building of neuronal networks; excessive neurophagy, however, plays a part in neurodegenerative diseases and ageing. Albena T. Dinkova‐Kostova, Rumen V. Kostov and Aleksey G. Kazantsev offer us an intriguing perspective on Nrf2, a transcription factor that regulates the expression of antioxidant proteins. Nrf2 activation can thus counteract neurodegeneration by boosting antioxidant responses. The authors suggest targeting Nrf2 as a therapeutic approach to treat and ameliorate symptoms of neurodegenerative disorders, but also as a prophylactic approach to delay the onset of these diseases. Matthew E. Gegg and Anthony H. V. Schapira explain in detail the role of the lysosomal enzyme glucocerebrosidase (GCase) in the pathogenesis of Parkinson’s disease. GCase is mutated in 5% of all cases of Parkinson’s disease, making it an important risk factor and a potential therapeutic candidate that warrants further study. The pathogenesis of Parkinson’s disease, along with that of Alzheimer’s disease, is also discussed in detail in the review by Minee L. Choi and Sonia Gandhi. It is well known that proteins like Tau, alpha-synuclein and beta-amyloid form insoluble aggregates that are linked with neurodegeneration. The authors, however, explore the role of soluble intermediates of aggregation – the oligomers – as possible mediators of the toxicity of these proteins. As the aggregation of pathogenic proteins is considered to be a key event underlying neurodegeneration, it is essential to study this process in molecular detail. Matthew Horrocks, David Klenerman and co-authors provide us with an extensive overview of the state-of-the-art biophysical techniques available to investigate the formation of soluble oligomers and insoluble aggregates. Defects in the release of noradrenaline/norepinephrine (NA) are also associated with neurodegeneration and age-related cognitive decline. Because NA acts on micro- and astroglia to support normal neuronal function, a decrease in levels of NA and consequent astroglia activation are thought to contribute to disease onset. Robert Zorec, Vladimir Parpura and Alexei Verkhratsky illustrate the therapeutic strategies that could prevent neurodegenerative diseases by mimicking or implementing this system. Impairment of a different neurotransmitter system is a prominent feature of Parkinson’s disease. The death of dopaminergic neurons in the substantia nigra pars compacta (SNc) causes the motor symptoms characteristic of this disease. Dalton James Surmeier reviews the evidence proving the predisposition of dopaminergic neurons in the SNc to the dysfunctions that result in neuronal cell death. Wai Yan Yau and colleagues close this issue with a review focused on inherited cerebellar ataxias, a group of disorders caused by pathogenic expansions of cytosine–adenine–guanine (CAG). The authors present an interesting analysis of the pathways (for example, DNA repair) and genetic factors that act as modifiers in these devastating disorders. Our special thanks to Andrey Abramov for coordinating this Special Issue and providing a comprehensive introduction to this topic of exceptional relevance. We are very grateful to our authors and referees for their contributions to this issue. We hope you enjoy reading these freely available reviews and find them useful and engaging! Top and cover image: Purkinje nerve cell dendrites, confocal micrograph Dana Simmons / Science Photo Library. 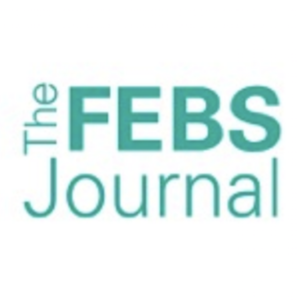 The FEBS Journal is an international journal devoted to the rapid publication of full-length papers covering a wide range of topics in any area of the molecular life sciences.